While there are whitening kits you can buy from your dentist or at the drug store, these are not the same as getting professional teeth whitening, and they’re not as effective, although they may be slightly better than home remedies. They can help whiten your teeth – if used correctly. Unfortunately, many customers don’t know how to use them correctly, and so they fail to get the results they want. Professional teeth whitening can only be done in a dentist’s office, never on your own. While it does cost more than home remedies or the kits you can buy, the results are also better and tend to last longer, so many customers come away so satisfied that they feel the extra expense is justified. Even if you decide not to splurge on professional whitening, you should always have a dentist examine your teeth prior to whitening. Not all stains will respond to whitening treatments, as some of them may be caused by decay or trauma, and therefore require other treatments that only a professional can administer. Home remedies vary from a lemon juice/baking soda combination to a coconut oil rinse to brushing with charcoal. While some people swear by these remedies, others say they don’t work at all. It may just be that they take time to be effective, since the concentration of necessary agents is low and tools are unprofessional, and often less effective. The one thing everyone agrees on is that they are less expensive than the dental kits and professional teeth whitening, and that they must be done on a regular basis. But a funny taste in your mouth may be the least of your worries if you rely on a home remedy a friend or a blogger swears by. None of these home remedies have been tested by a dental professional to determine if they’re safe, much less effective. To make sure you aren’t inadvertently damaging your teeth and/or gums, it’s best to consult a professional. Spend the extra dough on professional whitening if you can. The results are better, last longer, you don’t have to wait to see results, most procedures only take about an hour, and it’s completely safe as the dental professionals are careful to protect your teeth and gums. As soon as your visit is finished you’ll notice your smile is whiter and brighter than ever. You can spend a lot more time than that scrubbing your teeth with various items from your kitchen without seeing any results. 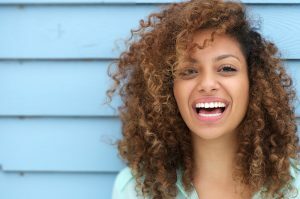 Even if you do think your teeth look a little whiter, you’ll have to keep practicing your home remedy on a regular basis in order to keep your teeth looking pearly white. A professional treatment is much safer, more effective, and well worth the cost for those who can afford it. If you can’t afford to have a professional whiten your teeth for you, you might want to consider buying a dental kit, but be sure to get proper instruction from a dental professional on how to use the materials and tools in the kit before you use them on yourself. Safety should come before all else.